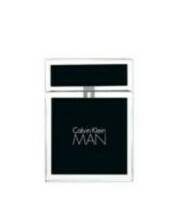 Calvin Klein Man is a sophisticated of notes that create the quintessential Calvin Klein men’s fragrance. The top notes open with crispy freshness, with Rosemary, Mandarin, Bergamont and Violet Leaf. The heart contains the exotic spices of Bay, Nutmeg, Incense and Spearmint. Rich Woods in the base round out the fragrance with Cypress Wood, Guaiac Wood, Sandalwood and Amberwood. It is a new classic expression for the masculine ideal.